More than 300 union plumbers from all over Michigan flooded Flint to install free filters for residents, this past weekend. According to ABC12, not all the faucets in Flint can fit a filter, which each resident of the city desperately needs in order to get rid of lead in their drinking water. Some of the faucets are older and oddly shaped, making the installation of a filter nearly impossible. Local plumbers with United Association Local 370 in Flint have been going door-to-door making sure that faucets are filter ready, reports Michigan Radio. And last weekend, they got a boost from hundreds of union volunteers. 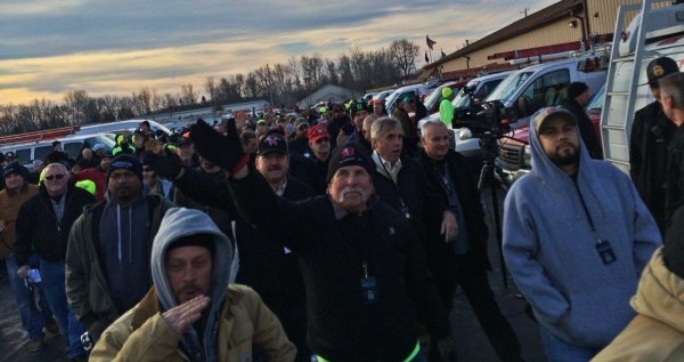 Upon the small army of plumbers’ arrival on Saturday, they got a moving welcome from Local 370 official Harold Harrington. On Saturday alone, plumbers replaced faucets and filters in 800 homes. Plumbing Manufacturers International donated the faucets, which cost about $100 a pop according to ABC12, which is a price tag many residents of Flint cannot afford. 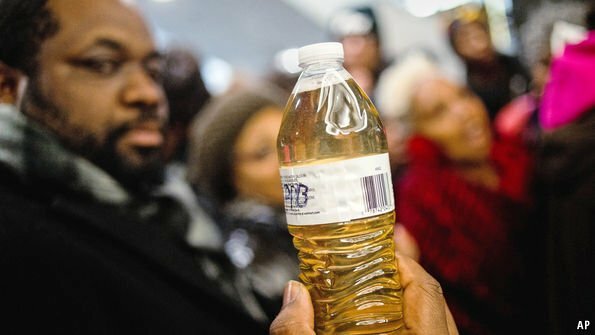 The problem with Flint’s drinking water occurred several months ago when the Michigan city switched its water system from the Flint River and failed to use corrosion controls. The result was lead in the drinking water, which if consumed can lead to a laundry list of severe health risks. Some residents noticed something fishy in the drinking water right away. Since Gov. Rick Snyder admitted that he let residents down, tons of everyday folks and celebrities alike have donated money and sent water bottles to Flint, including Jimmy Fallon, Cher and Pearl Jam. 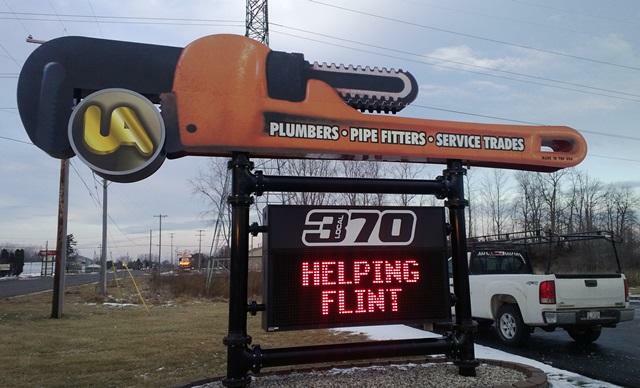 The MI Building & Construction Trades Council 400 union plumbers & pipe fitters stepping up to help Flint. 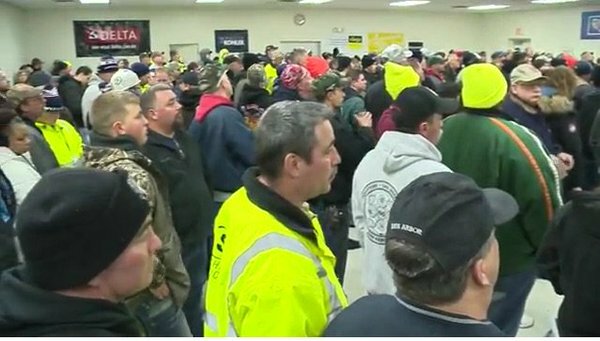 Responses to "300 Plumbers Poured Into Flint, Michigan, To Install Water Filters For Free"
Those guys are heroes in my book. I can't believe the Governor did so little to help his constituents. Wanna bet he loses the next election? Well done, gentleman. Y'all give plumbers a good name. Keep up the work, and may God bless you. Well Done. It Is Nice To Know That All Of You Are Filled With Such Compassion & Generosity...Saying Thank You Does Not Seem Sufficient. GOD Bless You. Kate From NY. THE PLUMBERS PROTECT THE HEALTH OF AMERICA!!!!! !